Defiance against Chinese oppression has been a defining characteristic of Tibetan life for more than four decades, symbolized most visibly by the much revered Dalai Lama. But the story of Tibetan resistance weaves a far richer tapestry than anyone might have imagined. Kenneth Conboy and James Morrison reveal how America's Central Intelligence Agency encouraged Tibet's revolt against China—and eventually came to control its fledgling resistance movement. 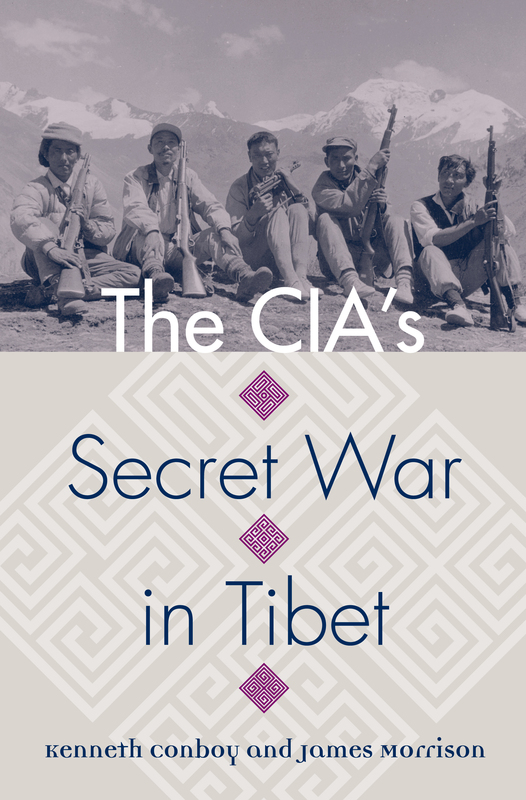 While the CIA's presence in Tibet has been alluded to in other works, the authors provide the first comprehensive, as well as most compelling account of this little known agency enterprise. The CIA's Secret War in Tibet takes readers from training camps in the Colorado Rockies to the scene of clandestine operations in the Himalayas, chronicling the agency's help in securing the Dalai Lama's safe passage to India and subsequent initiation of one of the most remote covert campaigns of the Cold War. Establishing a rebel army in the northern Nepali kingdom of Mustang and a para-commando force in India designed to operate behind Chinese lines, Conboy and Morrison provide previously unreported details about secret missions undertaken in extraordinarily harsh conditions. Their book greatly expands on previous memoirs by CIA officials by putting virtually every major agency participant on record with details of clandestine operations. It also calls as witnesses the people who managed and fought in the program—including Tibetan and Nepalese agents, Indian intelligence officers, and even mission aircrews. Conboy and Morrison take pains to tell the story from all perspectives, particularly that of the former Tibetan guerrillas, many of whom have gone on record here for the first time. The authors also tell how Tibet led America and India to become secret partners over the course of several presidential administrations and cite dozens of Indian and Tibetan intelligence documents directly related to these covert operations. Ultimately, they are persuasive that the Himalayan operations were far more successful as a proving ground for CIA agents who were later reassigned to southeast Asia than as a staging ground for armed rebellion. As the movement for Tibetan liberation continues to attract international support, Tibet's status remains a contentious issue in both Washington and Beijing. This book takes readers inside a covert war fought with Tibetan blood and U. S. sponsorship and allows us to better understand the true nature of that controversy. Kenneth Conboy is a former policy analyst and deputy director at the Asian Studies Center in Washington, D.C., whose other books include Spies and Commandos and Feet to the Fire: CIA Covert Operations in Indonesia, 1957–1958. The late James Morrison was a thirty-year Army veteran and the last training officer for the CIA-sponsored Unity project. He coauthored numerous books with Conboy, including Shadow War: The CIA's Secret War in Laos.